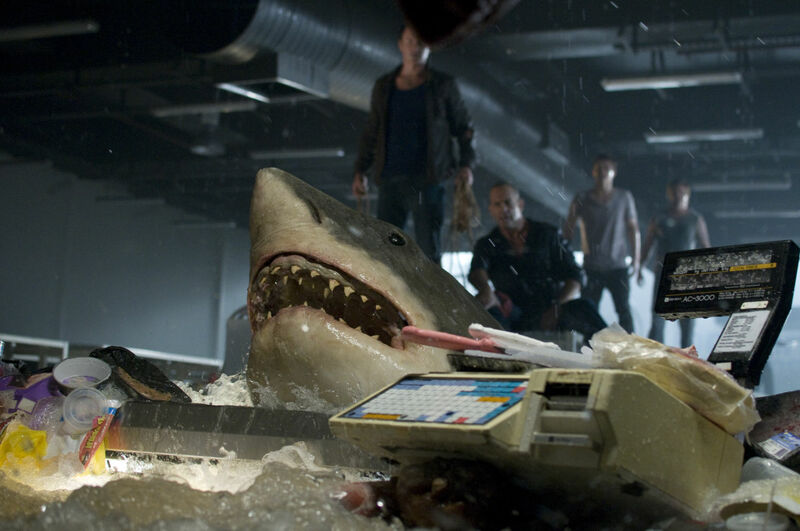 In theaters, the Australian "shark" movie BAIT was known as BAIT 3D, and from the looks of the fine Blu-ray transfer, I imagine that the 3D was pretty good, too. 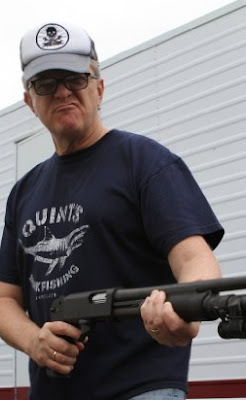 A couple of weeks back TrustMovies received a press release telling him that the movie, which had just opened in China, bested at the box-office both Looper and Taken 2. That's believable, considering how popular 3D currently is in China. But it is also due, I am sure, to good word-of-mouth. Bait is the best shark movie in a long while and for a number of good reasons: it's surprising, scary, funny and a lot of fun. The film's half-dozen writers are led by Russell Mulcahy and John Kim, and the director is a fellow named Kimble Rendall (shown at left), and together, with their cast of ace Aussi actors (none of whom I'm much familiar with, but all of whom do the job just fine), they've made a movie that delivers a kind of combo of Jaws and The Poseidon Adventure (especially where the old Who Will Survive? question is concerned). Lots of plot lines converge here, all of them relatively believable and cogently handled, and the mix of horror, humor, suspense, scares and gore proves heady stuff indeed, with the shark him/herself handled with aplomb by the special effects department. One of the best things about the movie is how those early plot lines (above and below) begin and then open up into further interesting characterization possibilities later on. While the movie will earn few awards, it will, I suspect leave most audiences breathy with anticipation about what lies around the next flooded aisle. 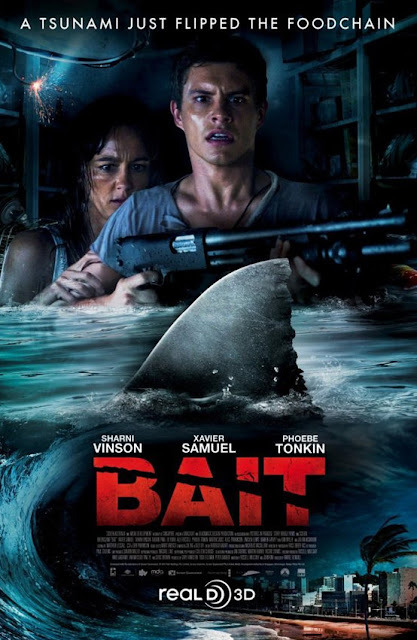 Bait, via Arclight/Darclight Films, while still opening in theaters internationally, is available now in the USA on DVD, Blu-ray and 3D Blu-ray from Anchor Bay.